Intel has moved to a new architecture called Kaby Lake for its PC chips, but it isn't done with the previous generation Skylake yet. The company will release new Xeon server chips based on Skylake in mid-2017, and they will boast big performance increases, said Barry Davis, general manager for the accelerated workload group at Intel. The Skylake Xeon chips will go into mainstream servers and could spark a big round of hardware upgrades, Davis said. Xeon chips aren't as visible as Intel's PC chips but remain extremely popular. Companies like Google, Facebook, and Amazon buy thousands of servers loaded with Xeon chips to power their search, social networking, and artificial intelligence tasks. The chips are also used in workstations like HP's Z840 or Apple's Mac Pro for high-end engineering and virtual reality applications. Intel will demonstrate the Skylake-based Xeon for the first time at an artificial intelligence event it's hosting next week in San Francisco. The chips will succeed the Xeon E5 v4 chips based on the Broadwell architecture, which shipped early this year. 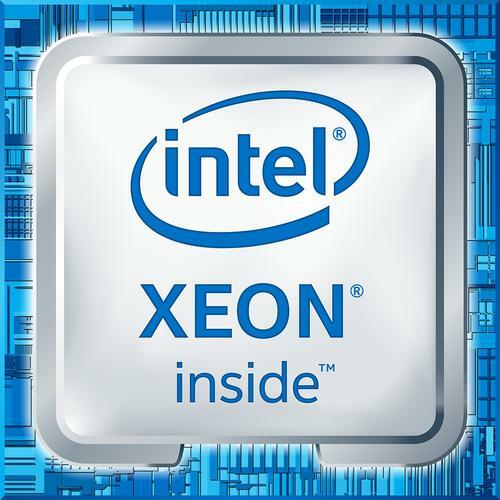 The Broadwell-based Xeon chips had up to 22 cores, and the Skylake Xeons may have more. Intel's mainstream Xeons typically ship in March, so the release of the Skylake chips are slightly delayed. That's perhaps because Intel's trying to make an aggressive push into machine learning, which is making companies rethink the way they analyze data and solve problems. The move toward machine learning is even driving changes in server configurations, with more customers buying servers with graphics processors. Most of the recent Xeon E5s have shipped to cloud customers, which buy a large variety of Xeon chips, driving chip prices up, said Dean McCarron, principal analyst at Mercury Research. Intel may be tuning the Skylake Xeons for AI, which demands a different kind of workload, compared to serial cloud tasks in which you get a record, process it, and compile the result. The AI workload is parallel, which is why GPUs have become popular. GPUs excel at parallel processing. "Given this new workload development, it's likely Intel is tuning Xeon to that. That might mean some changes to software tools and tweaks in the instruction set, " McCarron said. The new chips will boast advanced processing features that will bring big performance gains to AI tasks, Davis said. One such feature is support for AVX-512, which brings more floating point performance and security features to the chip. AVX-512 is being adapted from Intel's latest supercomputing chip, the 72-core Xeon Phi, which is code-named Knights Landing. Another feature is on-chip support for Intel OmniPath, a proprietary high-speed interconnect that links servers, storage, networking, and other data-center hardware. OmniPath is key to new data-center designs in which storage and memory are pulled out of servers and put in discrete boxes that are interconnected. That helps cram more storage, memory, and processing into server installations while reducing electric bills. Also coming next year is a new Intel deep-learning FPGA (field programmable gate array) that can be plugged into servers. The Intel Deep Learning Inference Accelerator is designed to compete with chips like Google's Tensor Processing Unit for inferencing to build more effective deep-learning systems. The FPGA will come with a complete set of neural networking algorithms and can be used for image recognition and fraud detection. The chip is based on technology developed by Altera, which Intel acquired last year for US$67 billion.